53 years ago, a French world leader in professional marine cosmetics studied the therapeutic qualities of the sea. 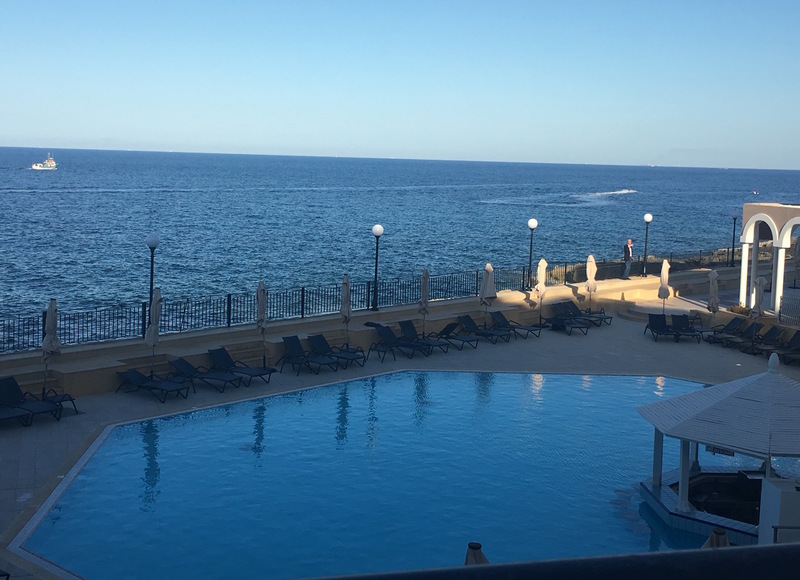 Andre Bouclet researched this niche in the market and now, in 2017, Thalgo is proud to relaunch its brand in Malta, with the focus on skin care products made out of marine ingredients. 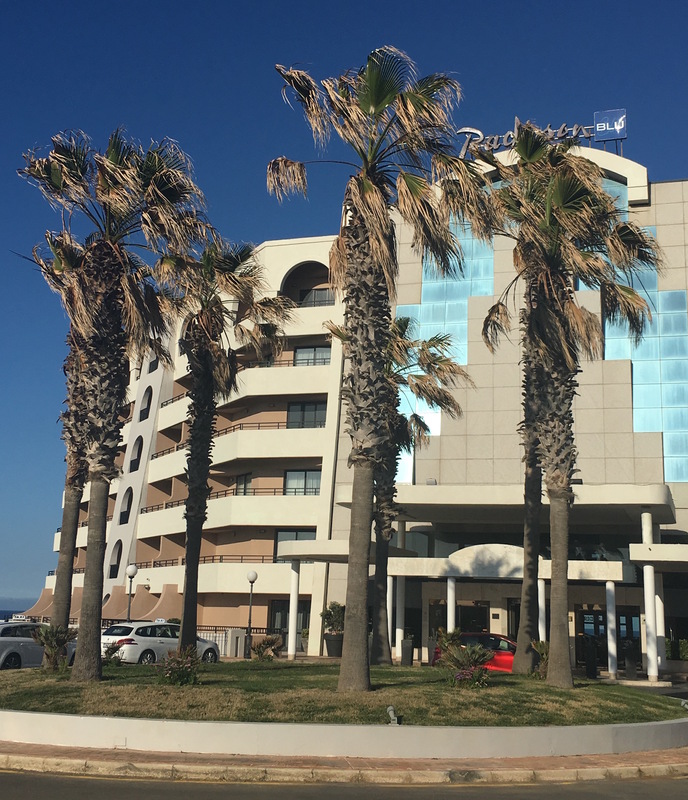 One does not come across such ingredients that often in skin care products, so interest in this aspect was evident during the seminar that was held at the Radisson Hotel, St Julians, organised by the affable team of V.J. Salomone Marketing. I had not heard much about Thalgo prior to the seminar, truth be told, so I was more curious and attended with an open mind. 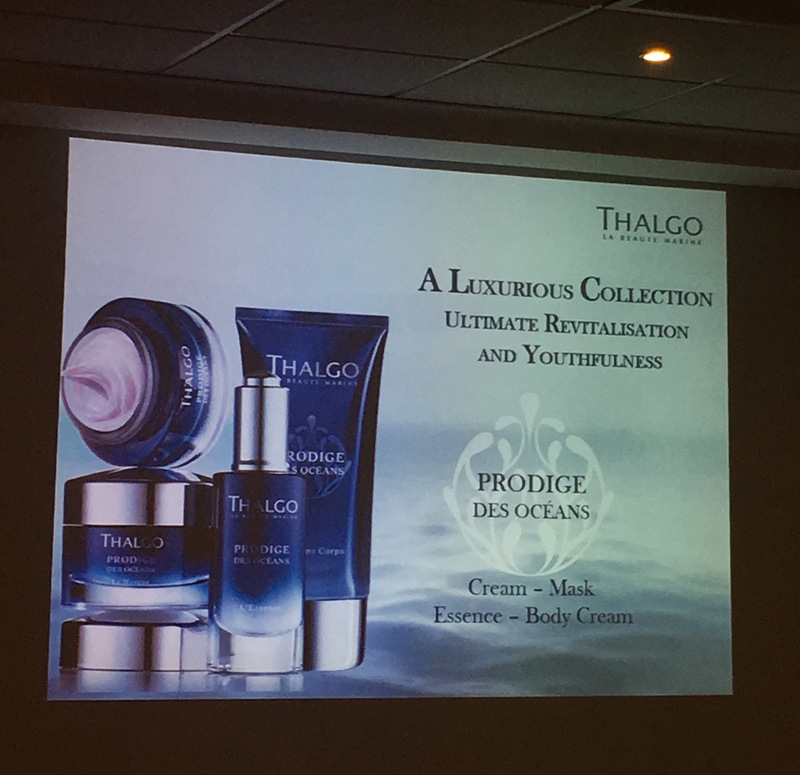 It turns out that the Thalgo name is not new to Malta, but it was considered propitious to celebrate its return with a fresh new line of products that work on preventing and correcting skin aging: Prodige des Oceans. The difference between the latter and other skin care products, even within the Thalgo range, is that it contains properties that make it easier for the skin to absorb and assimilate. Apparently our skin properties resemble the sea’s consistency, which was something one does not really think about. If one does, however, it makes sense because when we swim, our bodies feel better afterwards. Less bloated and all that. There is, as studied by the Thalgo researchers in France, a compatibility between our skin texture and the sea’s essential ingredients. The products’ essence contains a serum that works on the skin texture to better its evenness and to boost its vitality. Now we have all heard these words before: promote, boost, evenness and vitality. The big question is, do these products work? I took the plunge and posed a rather frank question during the Q&A. We discussed how important one’s diet and lifestyle are, such as drinking water, eating less sugars and processed foods, and cleansing our face properly. We tend to blame genetics if we have bad skin, but little do we give thought to the environment and free radicals. 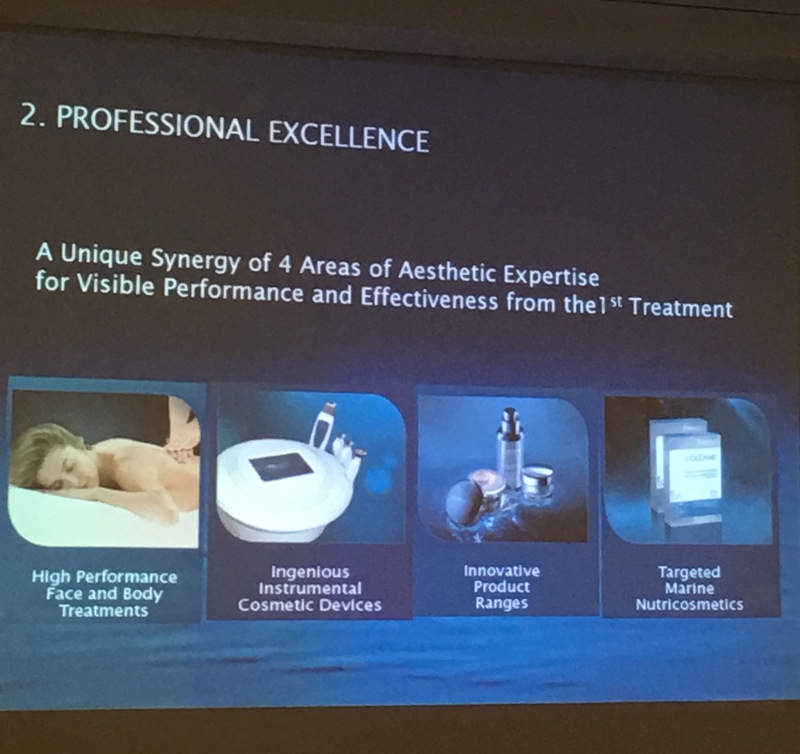 The speaker who answered the questions honestly stated that the Prodige products work best at preventing rather than removing again signs, although they can work at correcting certain aspects of the skin, as long as it is not too far gone. So much is acceptable and understable. 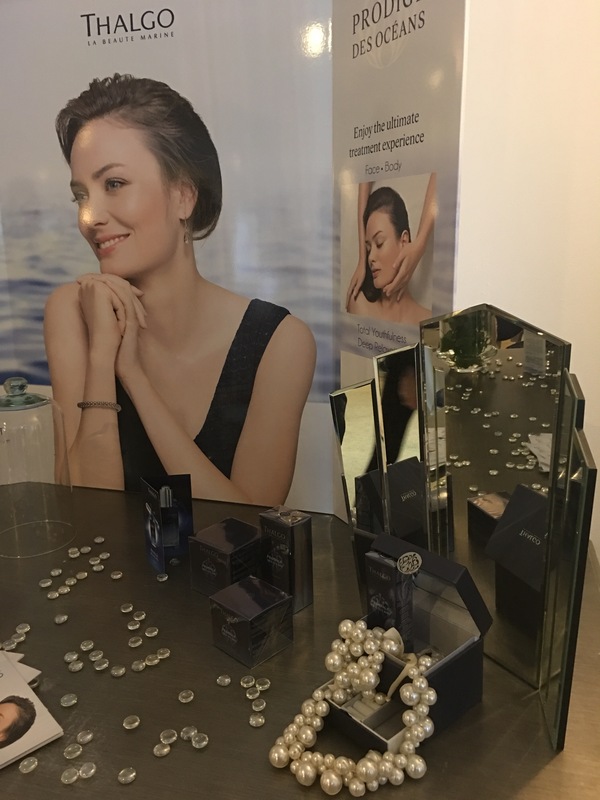 Moreover, Prodige des Oceans is a higher-end range in the Thalgo family so it is recommended that one starts using these products as early as 30 but much earlier either. It contains active ingredients such as Hyaluronic Acid and a particular sea ingredient called Intelligence Marine Regenerative, but one has to do a bit of legwork (as I explained in a previous post on the role of drinking water to make it easier for the HA to be absorbed and achieve its potential effect). 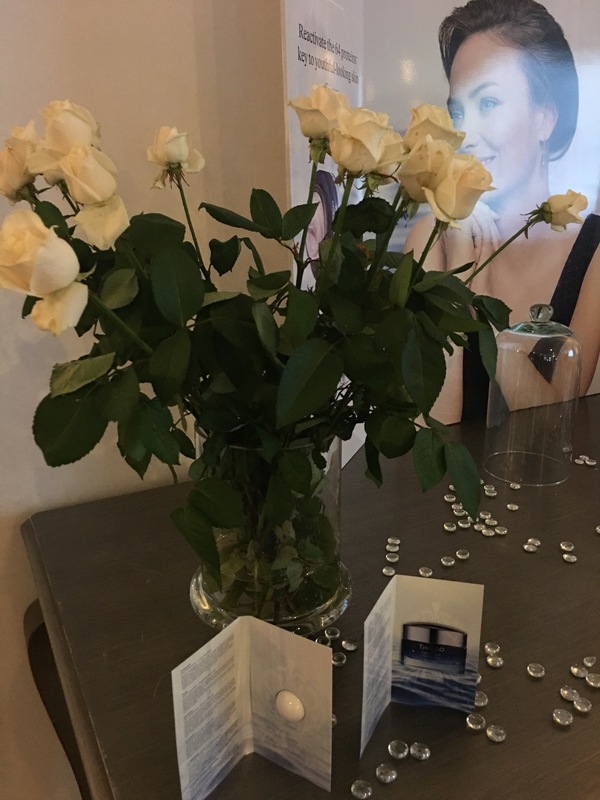 As you might have gathered by now, I am not one to sing praises for a product for nothing, but it must be said that the presentation was professional, informative, and indeed interesting to know that skin care research is ongoing. What makes Thalgo a serious, reliable brand is also its commitment to nature. It would be a contradiction if it weren’t. As it sources sea ingredients, it also works towards preserving the environment so one important step was to reduce the use of paper and restrict the use of plastics. All Thalgo products are also paraben free and cruelty-free. These are definitely steps in the right direction. Now, as stated earlier, I am more than willing to give products their chance to prove their worth. Before I can pass any judgement on what works and what does not, I have to test out such products. I will be doing so in the coming weeks specifically with the mask that was kindly gifted to me to test out. The mask in question belongs to the Prodige des Oceans range. In my case, it would not be a problem to test out such products as my age is exactly appropriate for such trailing. 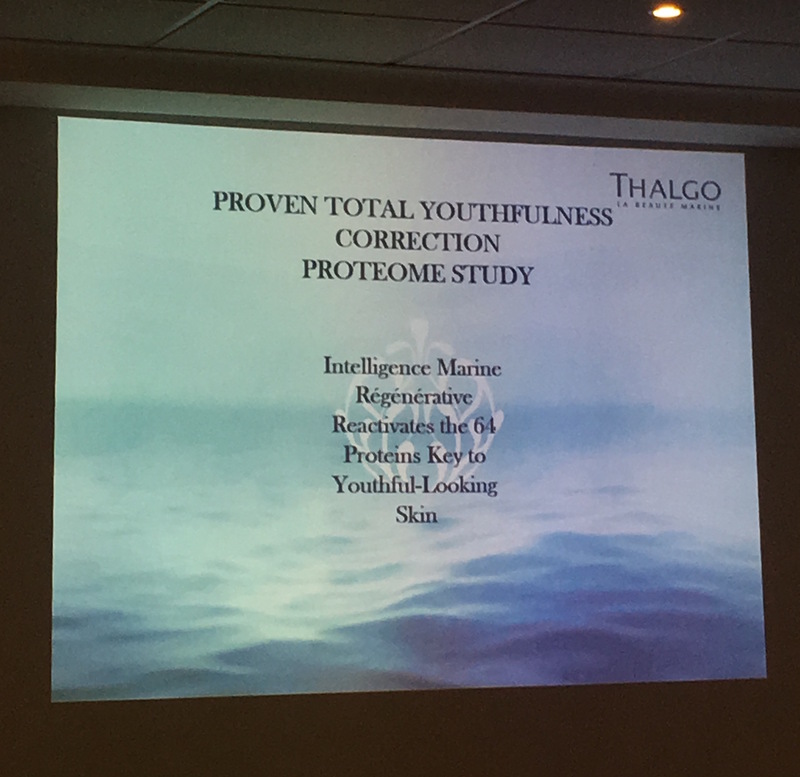 In fact, as I spoke to a few women of the Thalgo team after the seminar, it became evident that it would not be an extremely good idea to use Prodige des Oceans if one is only 20 or 21 because they might be too strong. However, prevention does not hurt but one must always ensure knowing all about any product before using it. This is an introductory post because as mentioned, it will take some time to test the product and see results. I have to also consider other factors, such as other treatments I have done and products I have been using so what I will do is stop using other masks and replace them with the Prodige one. Keep an eye for more updates throughout the coming months, here and on social media. Meanwhile, the people at V.J. 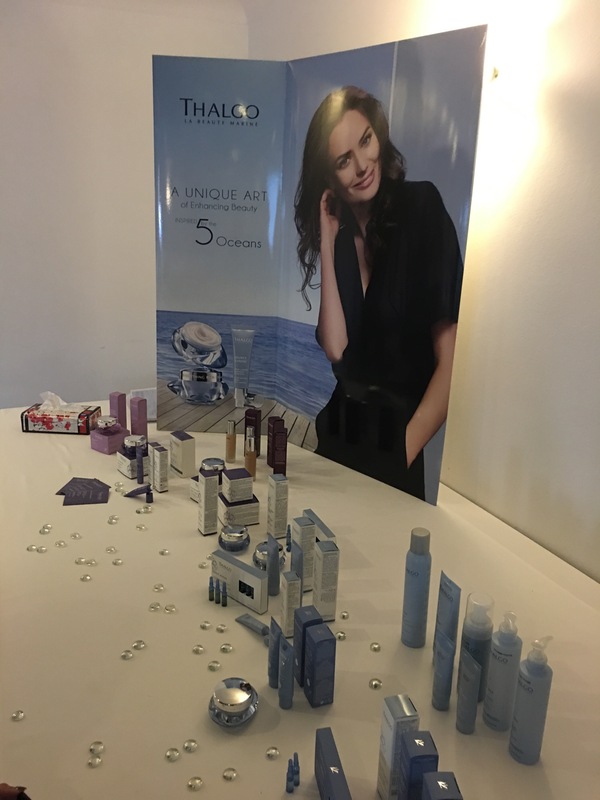 Salomone will be more than helpful to guide you on Thalgo’s entire range, which includes sun cream products and makeup (such as BB creams). With summer at the door, these could be essential products to protect your skin.